If you are an independent skilled worker you may be eligible to apply for this visa. You do not need to have an immediate employment offer in Australia to apply for a skill visa. This is a Points Tested Skilled Migration. 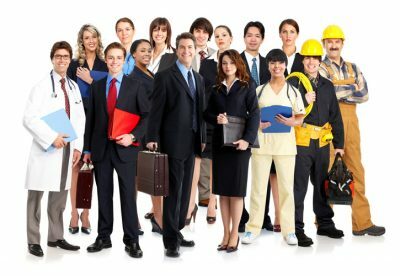 The applicant needs to submit an Expression of Interest (EOI) in SkillSelect system online; then, they are invited to apply for a skilled migration visa if they meet the eligibility requirement (at least 65 points); nominates an occupation from Medium and Long-term Strategic Skills List (MLTSSL) or Short-term Skilled Occupation List (STSOL) dependent on visa type; obtained a suitable skills assessment for that occupation; not yet turned 45 years of age and at least reach the “competent English”. – This is a permanent skilled visa for people who are not sponsored by an employer or family member or nominated by a state or territory government. There are two streams, Points-tested Stream and New Zealand Stream. Points-tested Stream: You must have a relevant occupation; have a suitable skills assessment for the occupation; meet the points test pass mark of 65 points; be under 45 years of age at time of invitation; have Competent English and be invited to apply. -have a taxable income at or above an income threshold for each of the four completed income years prior to lodging an application (unless claiming an exemption). To make it short, for claiming the exemption of meeting income threshold for any year include the reasons of receiving compensation from an injury, on an approved period of parental or carer’s leave or because the Family Court of Australia has assigned primary care of a child that prevented the applicant leaving Australia and/or receiving less income in the last four years due to these reasons. – This is a permanent skilled visa for people who are nominated by a state or territory government agency. -be invited by us to apply. – This is a temporary visa allows skilled workers to live and work in specified regional areas in Australia for up to four years. People who are nominated by a state or territory government agency or sponsored by an eligible relative living in a designated area can consider this visa. The person who has lived for at least two years and worked for at least one year in a regional area by the visa subclass 489 can move to applying for another permanent residence work visa 887 Skilled Regional Visa. Graduate Work stream – this stream is for someone who graduates with a trade qualification or above CRICOS-registered course in Australia; their skills have been assessed by a relevant assessing authority as suitable for their nominated skilled occupation from the Medium and Long-term Strategic Skills List (MLTSSL) and the course they have attended at least for two academic years. Student must lodge application within six months after the completion of course. Post-Study Work stream – if your first student visa to Australia is on or after 5 November 2011 and you graduate with a higher education degree from an Australian education provider, regardless of the field of study. No skill assessment or nomination of skilled occupation is required. Student must lodge application within six months after the completion of course. A visa in this stream can be granted for up to four years from the date the visa is granted, depending on the visa applicant’s qualification. The basic rule is, Degree to Master: 2 year visa period grant, Master by Research: 3 year visa period grant and Doctorate: 4 year visa period grant. There are other criterions you need to meet for applying for this visa such as age, English ability, Australian study requirement or specific requirements of the stream. Please contact us for the evaluation of your eligibility. There are many steps involved before obtaining the skill visa, such as how to lodge an effective EOI, skill assessment, English tests, eligible work experience, Australia study requirement, State nomination etc. Please contact us for a consultation to discuss what you can do to maximise your chance to obtain a skill visa.